Anti-abortion protesters at the Supreme Court, June 2016. Photo via AP. The Women’s March on Washington, planned for January 21, is expected to be massive, the single largest anti-Trump protest of Inauguration Weekend. Anti-abortion groups are loudly pouting that the march is supported by pro-choice groups like Planned Parenthood, and so they plan to “infiltrate” it. They’re going to do that by just attending it and making it even bigger, which is surely a very sophisticated strategy that I am perhaps not smart enough to comprehend. Catherine Glenn Foster, founder of the Sound Legal Group, condemned the march’s inclusion of Planned Parenthood. She said the Women’s March on Washington cannot claim to speak for women while kowtowing to the abortion industry. The anti-abortion groups participating in the march are being organized by Brandi Swindell, the founder and CEO of an Idaho crisis pregnancy center chain called Stanton Healthcare, that, contrary to its name, does not actually provide healthcare. Swindell told the Christian outlet Charisma News she also represents women who want to see Obamacare overturned and Planned Parenthood defunded. 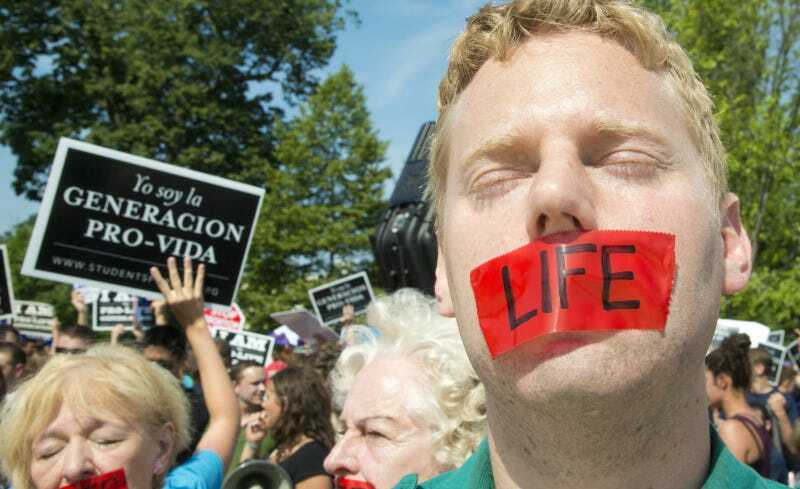 Less than week later is the anti-abortion movement’s biggest event of the year, the annual March for Life. This year, Trump adviser and normalizer-in-chief Kellyanne Conway is a keynote speaker.